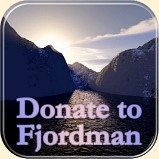 The following essay was first published in the regional daily Stavanger Aftenblad in Norway. Parts of the text were taken from Peder Jensen’s (Fjordman’s) book Vitne til vanvidd. This book is now available for a Scandinavian audience in Norwegian as both e-book and printed book. For a limited period of time, the printed book can also be ordered signed by the author. A shorter version of this book, which deals with the Anders Behring Breivik case and Muslim immigration to Europe, will later be published in English with the title Witness to Madness. Many thanks to Liberty DK for the translation. It is totally unrealistic to solve social problems through the migration of billions of people. Most social problems in southern countries must be resolved locally. Before the Neolithic Revolution began 10,000-12,000 years ago, we were all hunter-gatherers. The number of people on this planet at that time has been estimated to between five and fifteen million human beings. A single major city such as Tokyo, Beijing, Seoul, Karachi, Mexico City, Lagos, Mumbai or Cairo now has more inhabitants than this. The global population reached one billion people for the first time around the year 1800. From the time of the Neanderthals, it took all of the Earth’s peoples hundreds of thousands of years to achieve this population size. Since the Industrial Revolution, the global population has, over the past two hundred years, grown dramatically. “The world’s population is now growing at around one Roman Empire every year”. In the coming three decades, it is expected that Africa’s population alone will increase by more than one billion people. Combined with a huge population growth, modern means of transport are now creating the largest and fastest human migrations the world has ever experienced since our species first came into existence. Population estimates for the Roman Empire at the beginning of our era range from 45 million to over 100 million people. A relatively common estimate is 60-80 million. Various estimates suggested a global population growth of between 70 and 80 million in 2015. The world population is thus growing at a rate of roughly one Roman Empire every single year. Today’s migrations are much larger and faster than the Migration Period we associate with the fall of the Western Roman Empire. Let us stipulate that the global population increased by 73 million people in 2015. This corresponds to a global population growth of over 6 million people per month, around 1.4 million people per week, nearly 200,000 per day, more than 8327 per hour, almost 139 per minute and 2.3 per second. If you spend 30 seconds on grabbing a cold drink in the fridge, the planet’s population will have grown with perhaps 69 people during this time. If you spend half an hour on eating lunch, there will be around 4,164 more human beings on Earth after your lunch break. In the year 2050, the Democratic Republic of the Congo is expected to have joined Nigeria and Ethiopia as one of the world’s ten most populous countries. Despite stagnating population numbers in Europe and East Asia, analysts expect that the world population will increase by billions of people during this century. Demographers believe that the Earth’s population may grow to between 9.6 and 12.3 billion people by 2100, perhaps more. 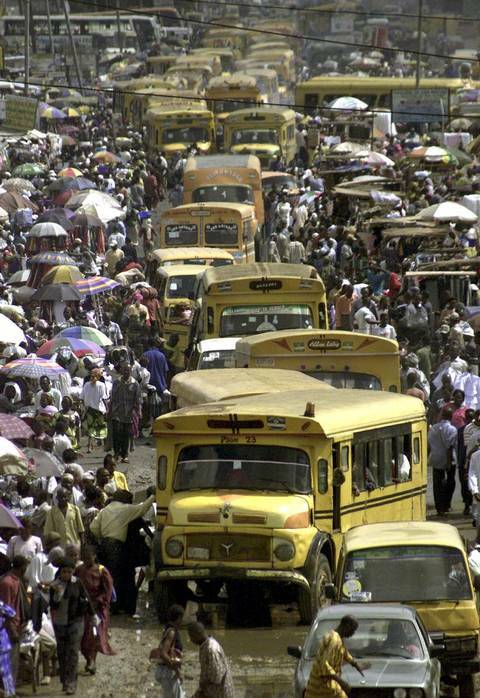 Africa’s population could grow tremendously to between 3.5 and 5.1 billion people. By 2050, it is estimated that four out of ten of the world’s children could be an African. In 1897, there were 9.7 million Egyptians. In 1996, Egypt’s population numbered 59 million people. The country surpassed 87 million in 2014 and could have 137 million inhabitants in 2050. This huge population growth contributes to political instability. Between them, Norway, Sweden, Denmark, Finland and Iceland had, at the beginning of 2015, a population of about 26 million people, including recent immigrants. The population growth of a single Arab country in less than one generation is thus larger than the population of all the Scandinavian and Nordic countries combined. A large Asian country such as China has a bigger population than the entire European continent, including Russia. The same goes for India. 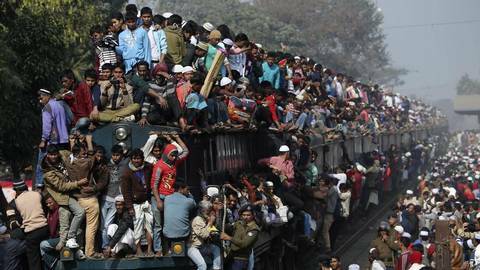 Bangladesh and Pakistan grew by around 5.6 million people in 2014. The population growth of just two Muslim countries in a single year is thus large enough to overwhelm a small European nation. With its current demography, Pakistan will reach a quarter of a billion inhabitants within a generation and still keep on growing. Meanwhile, Pakistani immigrants to the West are sometimes referred to as a vulnerable “minority,” almost as if they were a rare rhino on the brink of extinction. Europeans are a global minority. We have always been a minority, but today, the European share of the world’s population is smaller than it has ever been in recorded history. Let us stipulate that at least six billion people on the planet enjoy a lower standard of living than the average person does in Germany, Norway or the Netherlands. If just 9% of six billion people want to move to Europe or other Western countries, this would amount to 540 million migrants. This is more than the total number of citizens across the entire European Union (EU). Polls show that four out of ten people in Nigeria would move to a Western country if given the opportunity to do so. If 40% of Nigeria’s fast-growing population want to migrate to the West, this would amount to at least 73 million potential migrants from a single African country, which is regarded as Africa’s economic superpower. Many of the world’s southern regions are now on the move, even in countries where there is no war. A small rise in prosperity in the global South will not necessarily lead to less migration. On the contrary, international migration could increase even further because more people have enough money to travel. If Africa were to send 100 million people to Europe over the next five years, Africa’s population would still continue growing. Muslim countries such as Iraq, Afghanistan and Pakistan also experience a large population growth. If the Islamic world and Africa were to send a quarter of a billion migrants to Europe over the next ten years, these regions would still increase in population. These figures are intended to illustrate population growth. In practice, the number of migrants will not be this great. Yet the mere fact that this is theoretically possible should be cause for concern. In coming generations the Islamic world and Africa could, in principle, send a constant flow of migrants ten times larger than what we are seeing now. Even if they did so, this would not solve fundamental social problems in the Islamic world or in Africa. It would, however, probably cause a collapse of the social fabric in many European countries. It is totally unrealistic to solve social problems through the migration of billions of people. Most social problems in southern countries must be resolved locally. There is no other viable alternative. 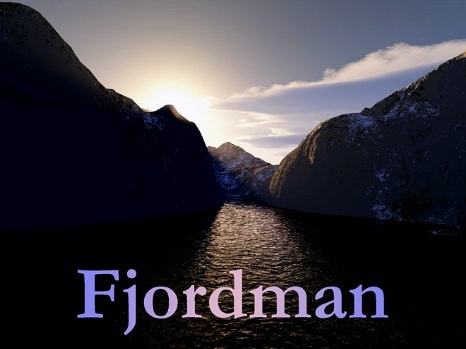 This entry was posted in Europe, Fjordman, History, Immigration, PC/MC, Scandinavia by Baron Bodissey. Bookmark the permalink. Well, that’s easy to say. How? Not our job to say. Those involved must resolve the problems themselves. Third world peoples do not have the intellect, skill, or perhaps desire to address serious social problems. The only recourse is outside intervention into these countries and perhaps martial law. Intervention would include corporations that invest heavily in these affected nations (such as China is doing in Africa); the UN which would create an outreach for birth control, sanitation, adequate housing, medical, etc. ; religious organizations; and private enterprises. This is already being done but on a diminished scale. Note how Haiti has been abandoned. Overpopulation has been debated for decades, and now that the effects are being felt are Western leaders concerned. Excellent article. Bugout bag at the ready. Actually, our intervention is what created this demographic bomb. Think about it every time you see a well meaning people asking you for money to feed and inoculate cute tots in the third world. The original idea was that with better medical care, mothers will not worry about loosing their children to disease thus having fewer children, like in Europe. The idealists didn’t take into account that many more factors were involved in decreasing number of children per family in Europe than child mortality. What we are facing today is West’s funding its own demographic extinction. Well said. And it continues, anyone seen how much money Bill Gates has “invested” in Africa? What really gets me going here in British Columbia is the number of commercials asking for money to treat leprosy victims in India. FGS, India has loads of millionaires, not to mention a number of billionaires, they are in the space race, and just one of those inordinately wealthy people could pay to treat India’s lepers without feeling any pain, but no–poor people in the west have to pay for everything, while India’s rich get richer! NY Gal has a point. I used to tell so called liberals this and was roundly cursed. Without the interventions of the West tribal cultures have their own balances. I don’t really believe that the lack of intellect or skill is the main problem. At some point in the past everyone was a “third world” person, yet people in various places still went from clans to tribes to feudalism and so on. But they only did so because they were under sufficient survival pressure to do so. As for desire to solve problems, there isn’t much of a desire to solve a problem when it isn’t even considered a problem. Problems have to become obvious problems for anyone to even want to solve them. Lack of science education for example isn’t going to seem like much of a problem if everyone can just sell oil and buy whatever technology they want. When I left Africa around 2005 there were already 40 universities in Nigeria. There are elements on that continent that are conservative and respect education. There are cities being built up in numerous parts. One complaint was that the only time Africa made the international news was when war, famine or other catastrophes were reported. When the Bangladeshi PM was asked what would she do with the expected doubling of the her population in the coming decades- “send them West” was her reply “globalisation will take care of it”. An op-ed in the Times of India suggests sending 300 million from New Delhi alone, for some “breathing room”. These sentiments neatly encapsulate the abrogation of many third world politicians and commentators, of any responsibility to deal with their out of control birth-rates and the need to create stable economies. Meanwhile uber-globalists as typified by Peter Sutherland, exacerbate and encourage the situation on multiple levels- aided by an army of useful-idiot progressives. Breeding division, polarisation, radicalisation and not least the destruction of European Nation-States and having the blinding temerity to call it progress. I call it the Great Leap Backwards. Then perhaps, full economic and administrative reforms to root out corruption. You seem to be expressing a desire for a purely top down approach but then you mention that it can’t work due to lack of political will. To me it sounds like you are saying it’s hard to get political will in a top down manner so what about a bottom up manner? Here is the problem: how do you get everyone to just be too proud to take bribes? If an “enlightened” strong arm dictator just executes anyone found taking bribes then it would deter corruption but only out of a sense of fear and not a sense of honor. As soon as this one person is gone everything goes back to business as usual. So it seems like any real bottom up changes have to internally generated somehow, but it’s made more difficult by conditions. Nobody is going to be convinced to be too proud to take a bribe if they’re in danger of starving. Pinochet should have been jailed for crimes against humanity. That’s too high a price to pay for “order”. As The Baron says, they’d need to be resolved locally. It’s pretty obvious to those of us who aren’t deluded into thinking that such things have already happened that underdeveloped countries need some sort of age of reason, cultural renaissance, etc, but clueless westerners can’t figure out how to make that happen when they’re both ignorant of and in denial about what the conditions are. Even if not in denial, people who haven’t been immersed in the social systems themselves seem very unlikely to have the information needed to gain the necessary insight. Western countries have been acting like enablers, sort of like someone who keeps providing an alcoholic with alcohol. It’s easy to say “stop being enablers” but the problem is that dysfunction is being enabled for a purpose: keep countries from developing so they don’t become economic and possibly military threats. To make things worse, we now have western governments intentionally trying to import dysfunction so that the population there will no longer pose a threat. Import lots of people who don’t have he willingness or know how to hold leaders accountable and there’s no more public accountability. Everything reverts to totalitarianism, or worse. Why how? Why is it our responsibility? Why not stop being imperialist and let the third world solve their own dilemmas? Any solution offered by the West will only increase the hostility & hate & terror. Most such hostility in my experience is based on the hater’s own non-performance and a desire to shift the blame. The only thing we should do is impose consequences for illegal third world migration. Correct! If we were to take 20 million people from say Africa, they would just say “Hip Hip Hooray!” and produce 40 million more. The Islam-tainted UN has a “Special Representative on Migration”. This is Peter Sutherland, who was responsible for promoting the establishment of the “Global Forum on Migration and Development”, another tainted body promoting unwanted immigration. Note the bossy conjunction of Migration with Development, an association that is questionable, to say the least, when applied to muslim migration. Sutherland wants the EU to “undermine the homogeneity” of Europe’s nation states. That is the kind of “Development” he has in mind. Sutherland is like a Quack Doctor of the Wild West, peddling fake medicines to a public he hopes is uninformed (as most are). He is a Paid Migration Promoter. How about a UN Special Representative on Migration and Crime? I see war (civil and otherwise) and disease doing their part to re-balance the scales. Whether white European culture wins is a very open question. One thing I do know: Russia and the former Eastern bloc states will not go quietly. Russia has negative population growth and men who drink themselves to death at an early age, coupled with large and growing Muslim population. The rest of Eastern European countries are relatively small and haven’t so far felt immigrant pressure, having unattractive social programs. At this point more people emigrate out of those countries than are coming in. As Western Europe fills up to the gills with Muslim migrants and starts cutting their attractive social giveaways, those countries will have to cope with the influx of Muslims, especially if they remain in EU and thus fail to really secure their borders. Basically it sounds like unlimited immigration would result in the following: western countries end up looking politically like Spanish colonies with an industrial version of plantation owners and sharecroppers. The terms “African Dictator”, “Latin American Dictator”, and “European Dictator” would all end up referring to the same sort of phenomenon. Role models of prosperity would be eliminated along with competitive pressures for underdeveloped countries to develop. Even more people in the world end up living on $1/day or starving to death. I’ve never understood the “need” to solve social problems, especially those of the other. The only genuine need is the need to defend ones own. The scope of the illness of western societies is such that this need is either not addressed or is condemned as an atavism. You seem to be expressing a preference for a sort of clan independence. That’s fine but it only works in stable environments where you can depend on other people to behave reasonably, trust family/friends, etc. makes sense in a small town where everyone behaves reasonably well and you’re not subjected to as much chaos. Move to a large city by yourself and it may be tough to find anyone who is “your own” except you. 1) people who have been victims of problems will tend to want to address them. For example, if a family member is killed by a drunk driver you’re more likely to campaign against drunk driving. 2) you constantly get blamed for causing someone else’s social problems. That is, you’re accused of being the perpetrator. Some will accept the blame and try to help, others will reject the blame but may still try to help somehow. The West has to close its doors. We have provided enough for stone age mentality peoples. They need to be left to grow up and stand on their own two feet. Our intervention has only “babied” them to the point where they have an expectation to do nothing for themselves – except send immigrants to strain and break our societies and culture. There is no benefit to anyone from this relationship. There are finite resources and valuable cultures that must not be squandered. The head spins….trying to reconcile this with all the alarm about fertility rates. If you go to the World Fact Book–that CIA thingy–you will see that just about half the countries have fertility rates less than 2.05, the magic rate that we have to stay above so that we do not become extinct. Sure enough, the highest rates are in places like Niger, Mali, Somalia and Chad where women are having 6 kids or so…the very places that are heavily Islamic and are going nuts on us with violence and border crossing metastases. Islam is truly a world cancer, not metaphorically, but in fact. Foreign aid to the third world has ALWAYS ended up in the hands of the few and not the needy! Never a shortage of limos and private jets for the ruling classes whilst the rest of their citizens starve. Cut foreign aid to all third world countries unless they accept their economic migrants back with immediate effect. It is not the West’s divine purpose to save these hell holes, the people living there must do it for themselves! Look at Zimbabwe for example, once the bread basket of Africa and now the Basket case instead. OMOV was the cry of Mugabe but what he didn’t tell his people was,it was one man, one vote, once! WE are NOT our brothers’ keepers, they must indeed learn to grow up and do something other than dancing, fornicating and murdering–the only things they are any good at. I’m going to take a Darwinian view of the situation. If you give credence to the current r/K theorists, you will hold that the cultures providing the population surplus are based on a model of “many children, many deaths, little investment”, suitable for an environment of easy food and lots of disease. The Western countries are based on a model of “few children, heavy investment”, suitable for a habitat of scarcity and violent competition. What has happened is that the Western cultures are draining their resources and contributing their technologies so that the “many children” strategy now has no natural controls on its growth. As long as this strategy is carried out, the end result will be population control by starvation and disease, the Malthusian solution. There will be no boundaries on the growth of a population that is genetically programmed for explosive child-bearing. It is virtually impossible for governments to solve the overpopulation problem through any approaches we would consider acceptable. The Chinese forced families to have abortions, which was abhorrent to the West, but did prevent massive starvation once the Great Leap forward had burned itself out. My feeling is the problem is solvable in several ways. Governments can enforce their borders with machine-guns, fences, and land-mines, which will allow the high-investment families to support their own families and resources. I think a more creative solution is to throw the field open to the wealthy social tinkerers, like George Soros and Bill Gates. The two restrictions they would have would be 1) they cannot use other peoples money at any time (like tax money) and 2) they cannot violently coerce anyone into doing something they are not willing to do. I can imagine a situation where a George Soros offers a family in a poverty area a modest lifetime stipend in exchange for becoming permanently sterile. They don’t want to be sterilized? Then, see if you can convince Bill Gates to subsidize you. Or starve. Of course those people with marketable skills and the discipline to use them will have no need of such a trade-off at all. It’s not exactly fair, but then it’s an alternative to mass starvation, and voluntary to boot. It might also serve to raise the quality of the human population, as the less functional individuals will not be thrown to the wolves, but simply will choose to live an acceptable life without offspring. Many women in “third-world” countries have no access to contraception. Also large families are an investment in one’s “pension”, ie the kids will care for you in old age. What will release the Malthusian Demon from its bottle? Note how the new state religion of “climate change” fits into all this. One of the movement gurus, Bill McKibben, campaigns for mass 3rd world immigration of the bizarre claim that they will breed more slowly here than they would back home (explosive teen pregnancy rates in California’s San Joaquin valley among the new Mexican majority demonstrate this is untrue). Of course McKibben can pontificate from the safe vantage point of rural Northeastern U.S. The real motive of course is the lust for one-party left-wing rule by sheer weight of numbers. This has been achieved in Mexifornia; though the unaccounted for unfunded pension liabilities (honest number of 1/4 trillion vs Fairy Brown’s fantasy of $72 billion) indicate what we are in for. I pointed out here in the comments before: the UN has a document on “replacement migration”. In the most basic terms I can use, this document says the bath of money which funds the welfare of pensioners can either be topped up by immigrants, or the amount of money in the bath can be allowed to fall, and the benefits to retirees disappear. That’s it. Those are the 2 key variables in that UN document. It is perfectly clear, given the migration statistics for the UK (and the growth in size of the UK’s population) that this plan is being implemented. On the most severe version of this UN plan, the UK will be 59% immigrant by 2050. Germany would be 80% immigrant by 2050. I know this sounds like madness. But the document on “replacement migration” is there for all to see. The plan for each country (UK, Germany, etc.) is listed separatedly, and they are brief documents. When you read these documents, then what is happening to the UK, Germany, etc. is perfectly understandable. The Elected Oligarchs can openly publish what is going to happen, knowing full well that their lackeys in the controlled media will not draw attention to it. You don’t need to be an investigative journalist to work this out for yourself.